DON'T WAIT UNTIL THE END OR YOU'LL MISS IT! 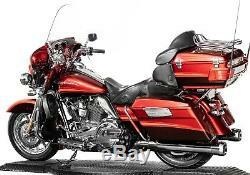 2009 HARLEY DAVIDSON SCREAMIN EAGLE FLHTCUSE4 110 CVO ULTRA CLASSIC ELECTRA GLIDE / STREET GLIDE - 315 BIG ROAD. Ruby Red and Typhoon Maroon with Forge-Tone Graphics. 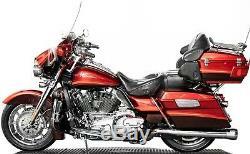 In addition, this bike has upgraded headers/mufflers. 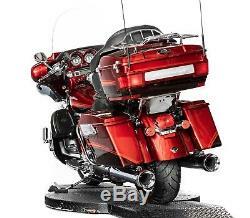 Rubber-mounted, air-cooled, Screamin Eagle Twin Cam 110 engine with granite and chrome finish. Electronic Sequential Port Fuel Injection (ESPFI). 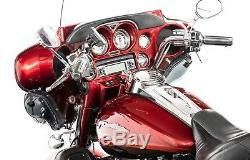 Internally-wired one-inch chrome handlebar with electronic throttle control. 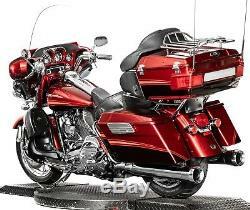 Chrome push button fuel door with CVO logo. Braided stainless steel front brake and clutch lines. Suspended dual control heated seat. Brembo front and rear brakes. 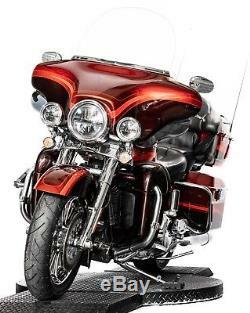 Color-matched vented fairing lowers with plush lined storage compartments, painted inner fairing, and switch panel and saddlebag filler strips. GPS/In DashN avigation system (Regional map CD required). Chrome fork sliders and chrome upper fork covers. Chrome lower triple tree cover. 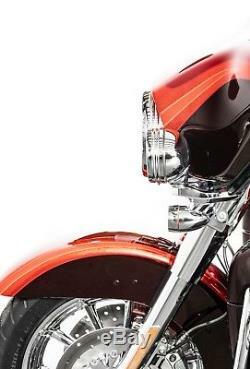 Chrome custom passing lamp brackets with bullet-style front turn signal. Chrome clutch and brake master cylinders. Chrome switch housings and hand levers. Chrome extended-reach billet brake lever. Chrome billet heel/toe shift levers. 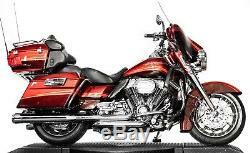 Chrome rider footboard supports and adjustable passenger footboard supports. Chrome valve stem cover caps. Chrome front wheel bearing spacers. Tear drop front custom floating brake rotors. High-performance clutch with hydraulic actuation. Oil cooler with chrome cover. Front brake calipers with CVO inserts. 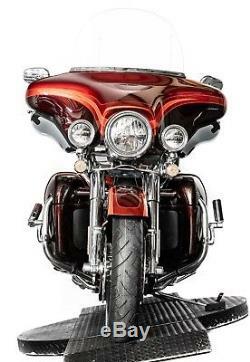 Bullet style rear turn signals mounted on chrome hooded turn signal bar. Smoked turn signal lenses with amber bulbs. 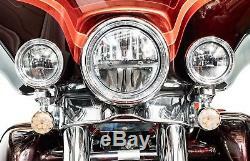 Electra Glide lightly smoked low windshield. Spun aluminum metal-faced speedometer, tachometer and new two-inch auxiliary gauges with backlighting. Polished stainless steel hex shift linkage. 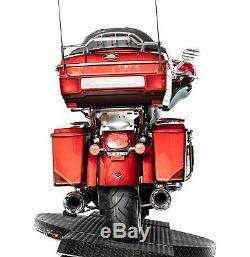 Stealth Collection rider and passenger footboard pans. Rider and passenger footboard inserts. Heated grips and grip end caps. 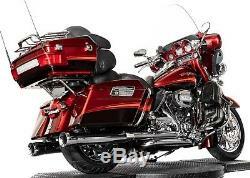 Saddlebags and Tour-Pak power locking system with integrated key fob activation. 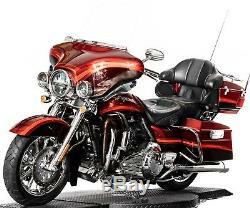 Harley-Davidson Smart Security System with 2 keys and 2 remotes. 10% DEPOSIT WITHIN 48 HOURS. 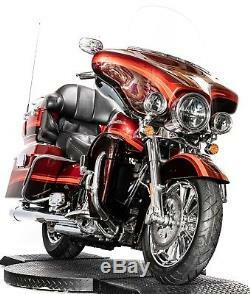 The item "2009 Harley-Davidson Touring" is in sale since Wednesday, September 5, 2018. 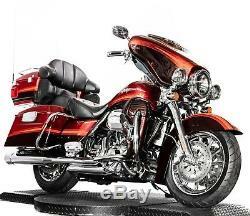 Title: 2009 Harley Davidson Screamin' Eagle CVO Electra Glide Ultra Classic FLHTCUSE4 ! 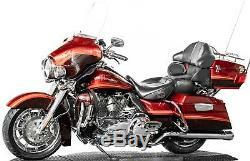 SubTitle: 2009 Harley Davidson Screamin' Eagle CVO Electra Glide Ultra Classic FLHTCUSE4 !